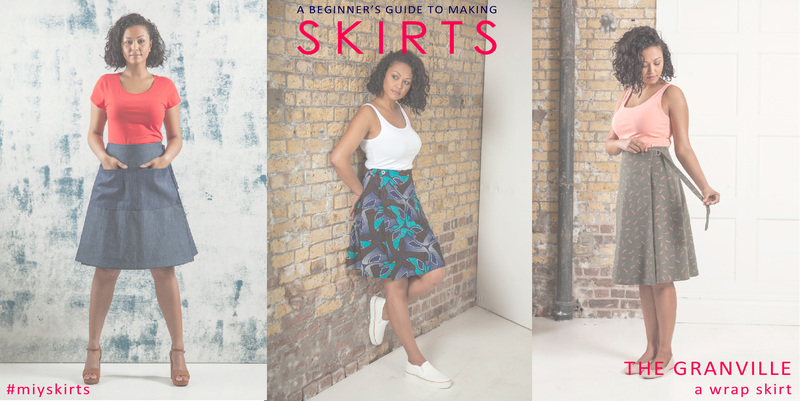 Seven days to publication day and here is the second project in Beginner’s Guide to Making Skirts – the Granville, a wrap skirt. Granville college (which sadly no longer exists) was where I did my A-levels in Sheffield and more significantly, was where I first learnt the wonderful art of pattern cutting. 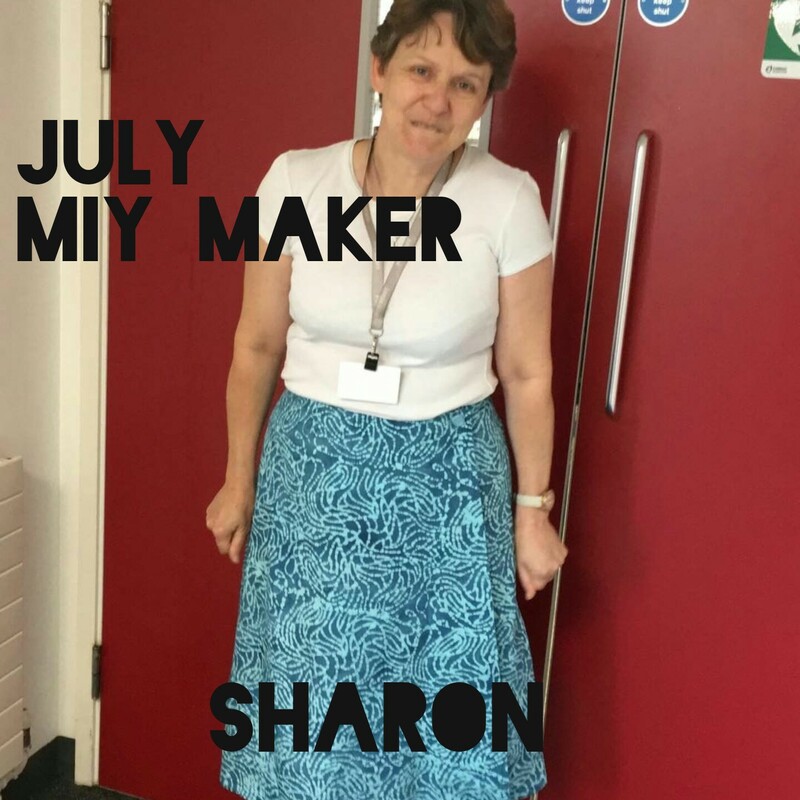 I was taught what I like to think of as all my good habits during that time many of which I still use and have passed on to my own students, by a fabulous teacher called Mary Braddock. Here’s some of the work I produced during that time aged just 18 under Mary’s watchful eye. 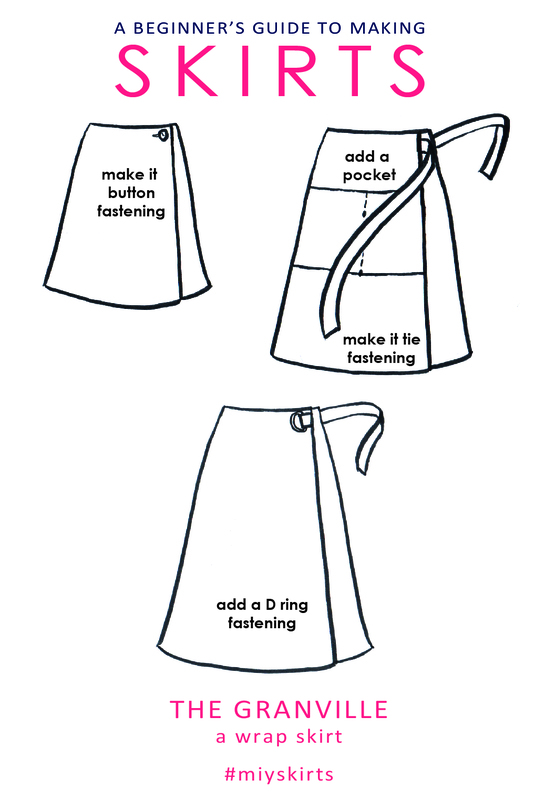 Variations of wrap skirts have been worn for generations by both women and men in different cultures around the world, just a few examples are the the Dhoti worn by men in India and the Sarong and Lungi worn mainly by men but also sometimes women in hot regions from the middle east to southeast Asia and of course, don’t forget the humble Scottish Kilt! 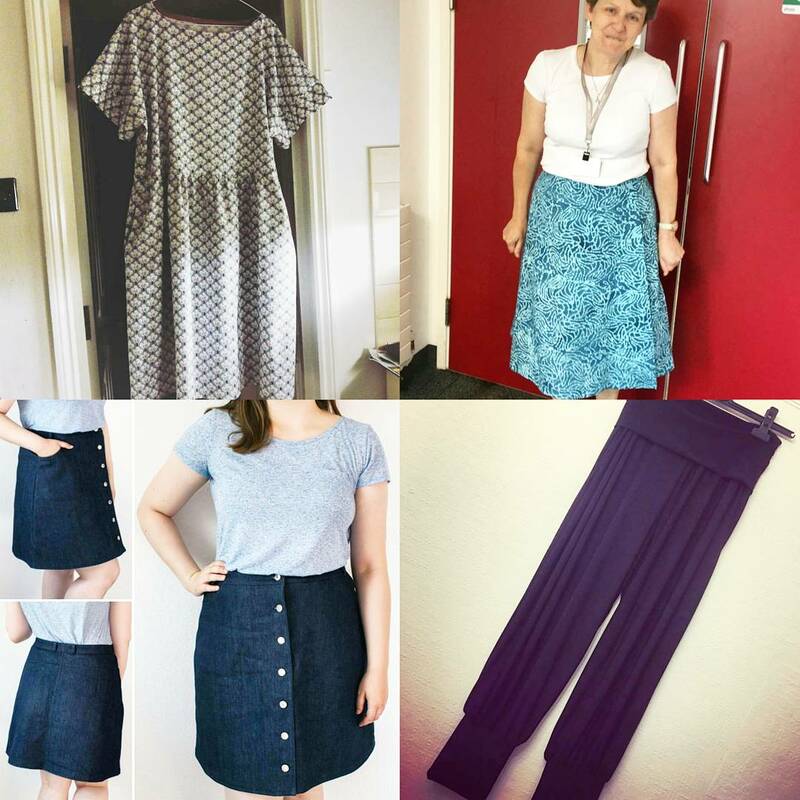 The Granville is more than a length of fabric though, it’s the perfect first skirt project; there are no zips to worry about and that A-line shape makes it both flattering and forgiving on the fit. 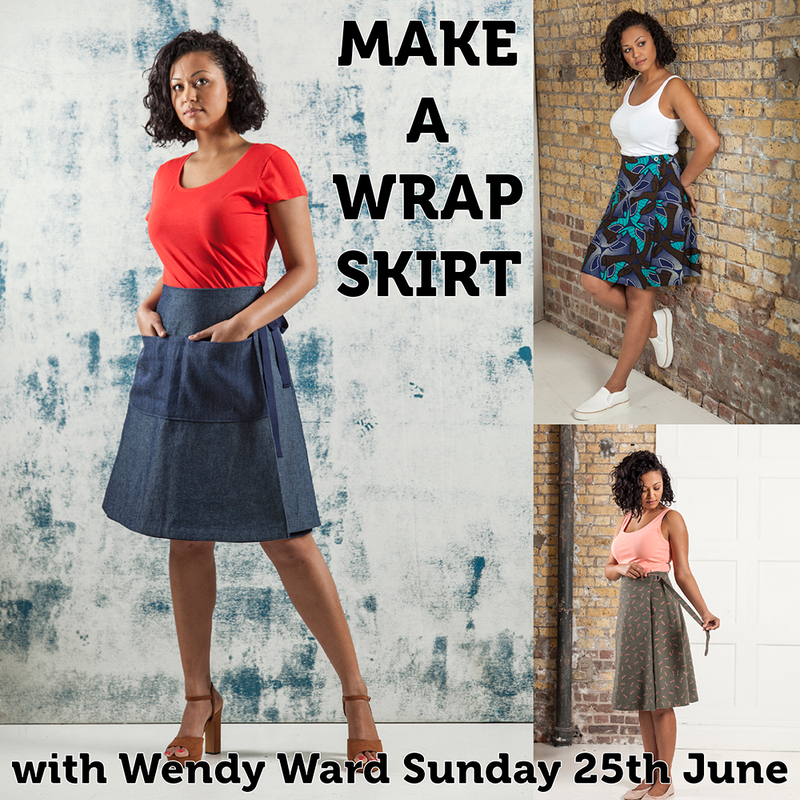 For such a seemingly simple skirt there really are lots of different ways to make the Granville; there are three different lengths, it can be fastened with self-fabric ties, using ready-made tape as ties……. 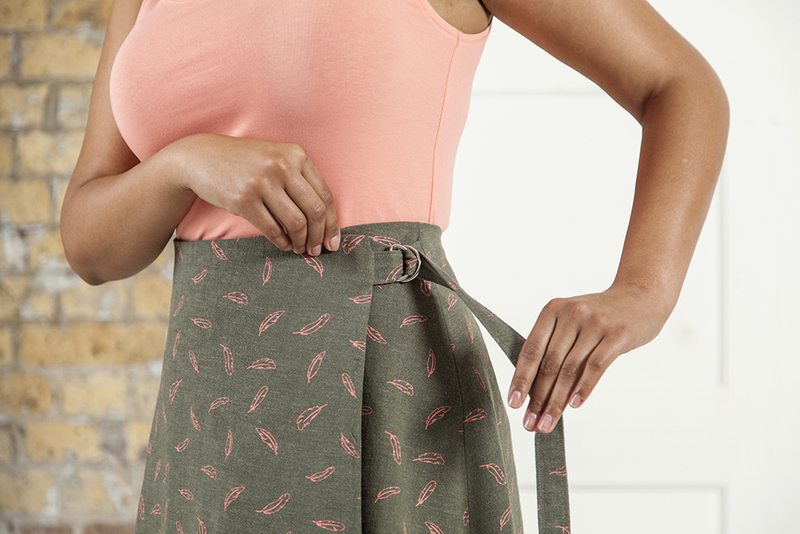 The inside of the skirt can be finished either with a facing or completely lined which then means you can make a completely reversible skirt. 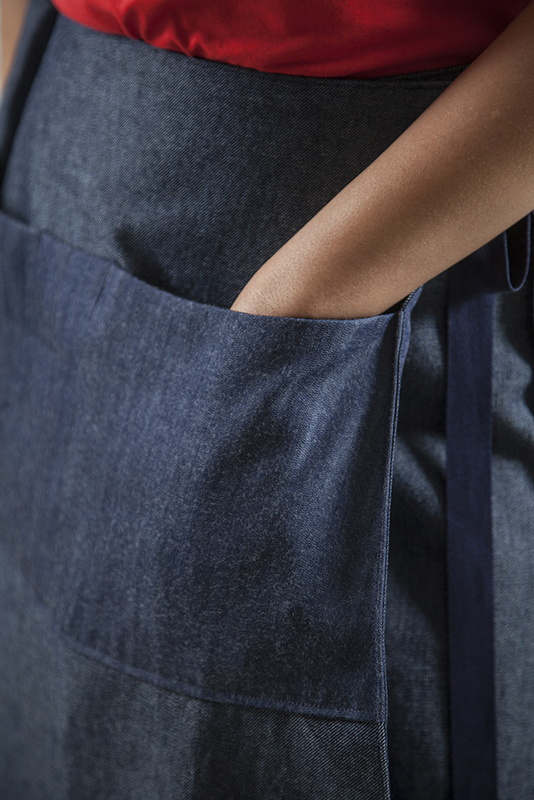 It’s also the ideal skirt to try your first patch pocket and add the apron styled deep pocket band across the front. 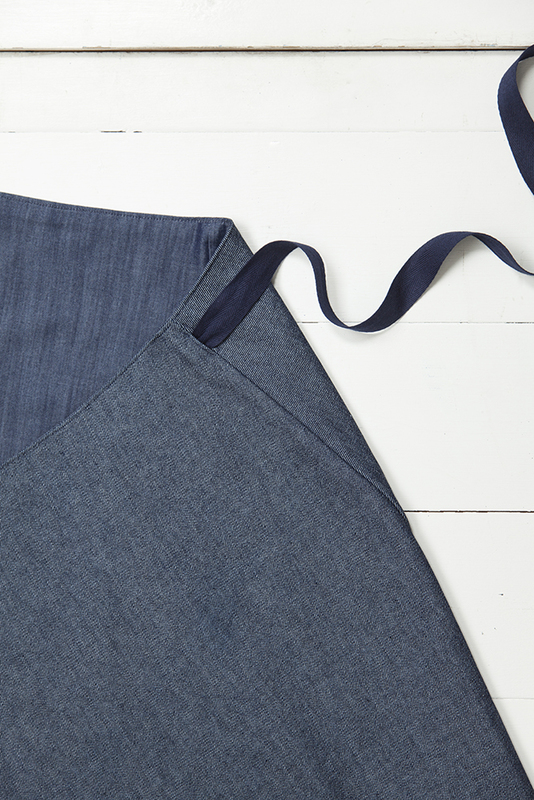 The Granville skirt looks great (and is easiest to sew) in mediumweight woven fabrics such as denims, linen, cotton/linen blends, corduroy, cotton chintz, cotton poplin, and lightweight wools. Watch out for skirt number 3 tomorrow! I’m now taking pre-orders for signed copies of the book. You can order yours here. NOTE: You will be charged when you place your order, but your book won’t be sent until publication day on 25th October. All photography is by Julian Ward © Cico Books with styling by Rob Merrett. Illustrations are by Wendy Ward.